Historical things happen and then years later you’re left only to read about them in a history book with your imagination filling in the blanks. 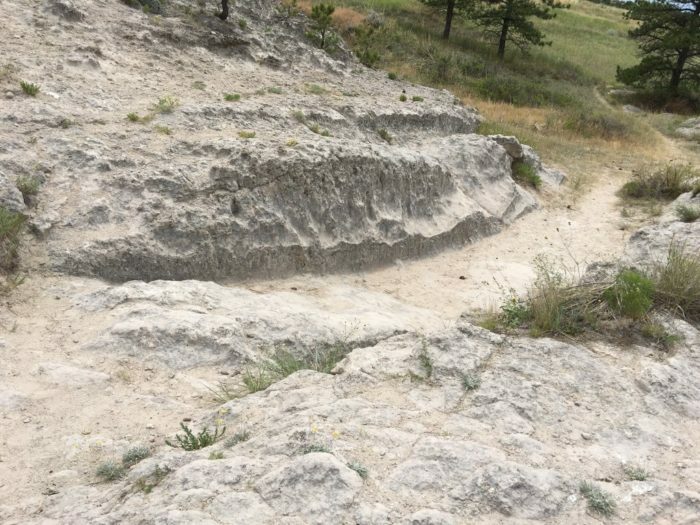 That’s what’s so neat about this one spot in Wyoming. 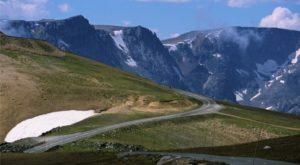 You can actually see, feel and experience what it was like to travel along this famous trail. 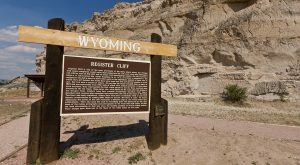 History definitely left a tangible mark at this one fascinating spot in Wyoming. 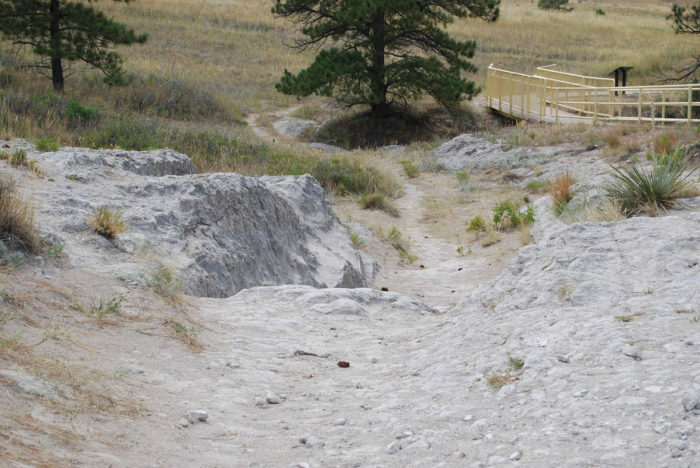 The Oregon Trail Ruts is a preserved section of one of the most significant trails in history. 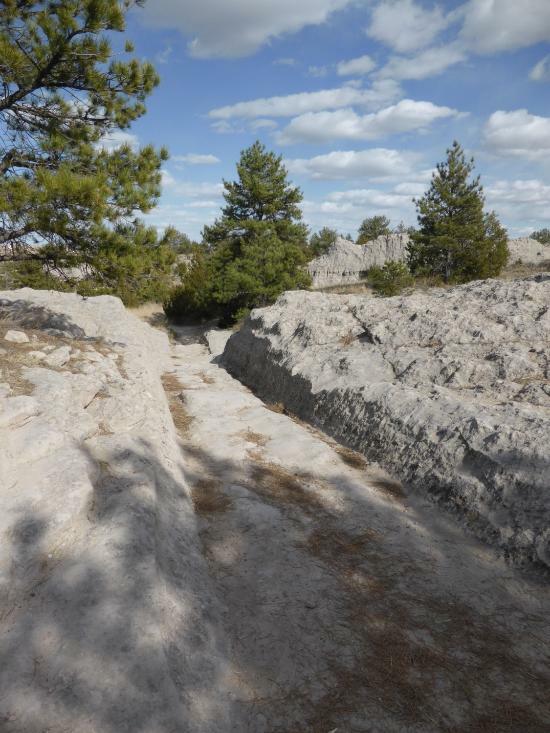 This section is located along the south side of the North Platte River 1/2 mile south of the town of Guernsey. The Oregon Trail in this area winds up towards South Pass. 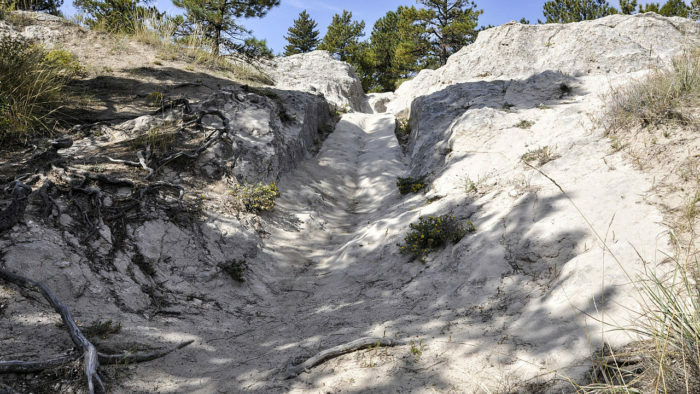 This particular route was chosen to avoid the marshy ground along the North Platte River. 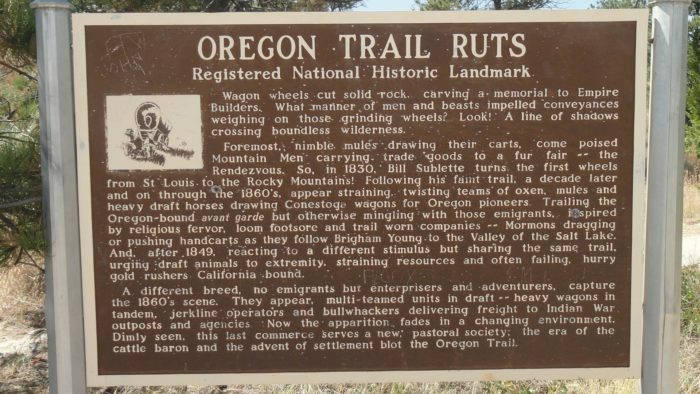 This route was first used in 1812 when Robert Stuart and six others passed through here returning to the east from the Columbia River. In the years that followed, many trappers, traders and missionaries took this route as well. 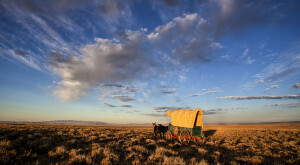 The Bartleson-Bidwell party was the first wagon train of settlers to use the trail. 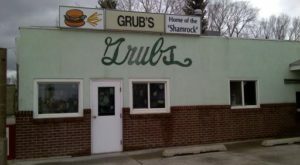 Their party was known to have traveled through here in 1841. The next two years saw a lot of traffic along the trail. 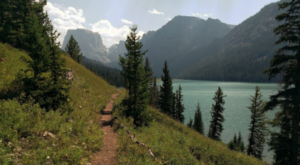 In 1842, 125 people used the trail and in 1843, 900 people traveled along the trail. 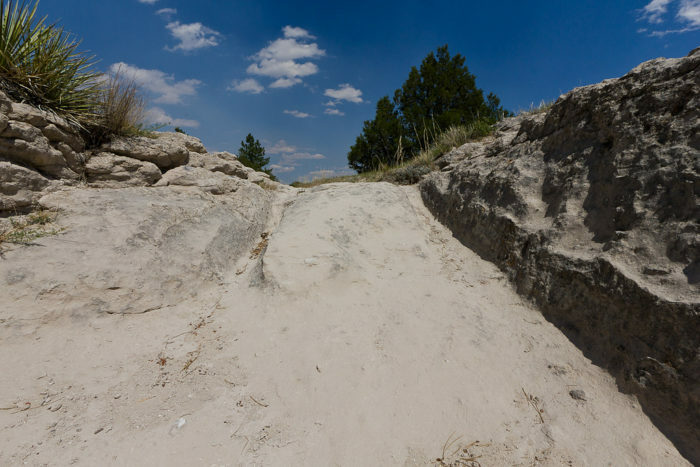 The Oregon, Mormon, California and Pony Express Trails all followed the same route from Fort Laramie to South Pass. 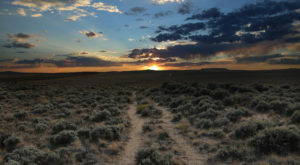 The Oregon Trail became a well defined and widely used trail. 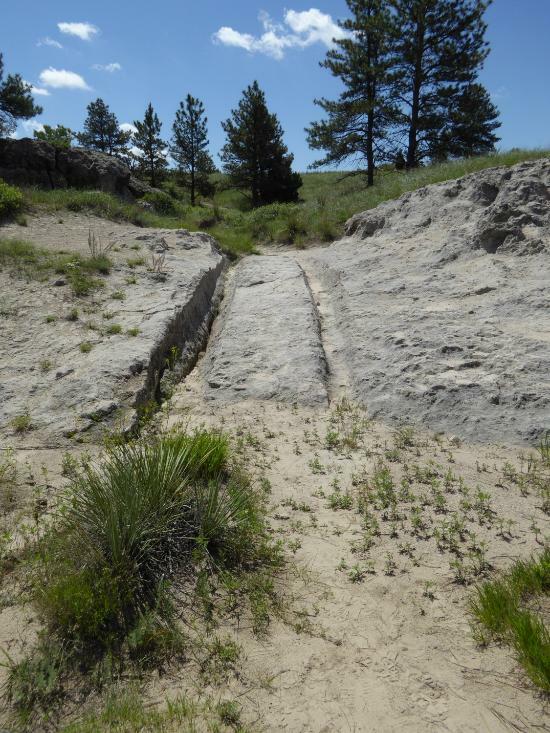 The trail became forever etched into this part of the state. The ruts resulted from years of wear and tear by the wagon wheels. The use of the overland trail leading to the Pacific rapidly declined after the completion of the Union Pacific Railroad in 1869. 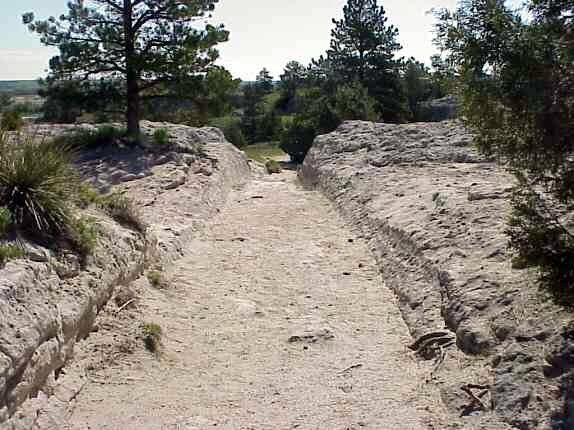 Sections of the trail were used locally many years later. 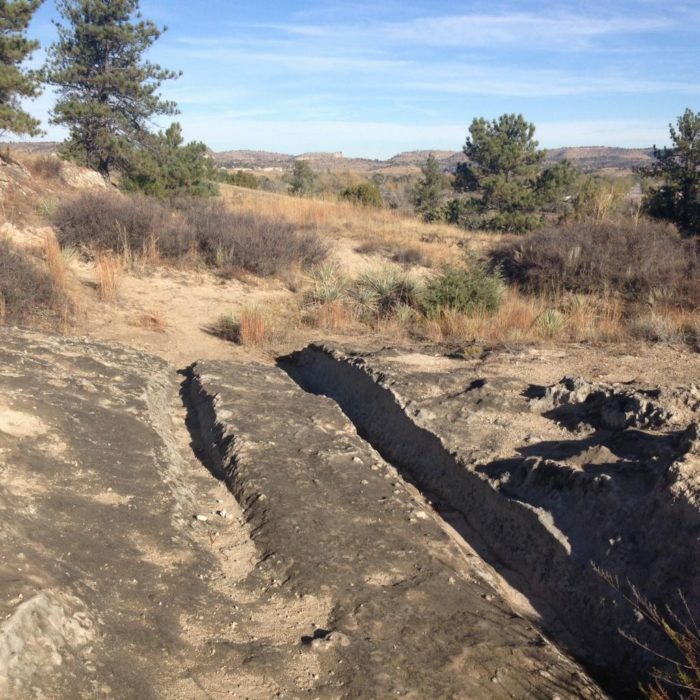 The trail ruts are a 1/2 mile long and are worn 2 to 6 feet deep into the sandstone ridge. 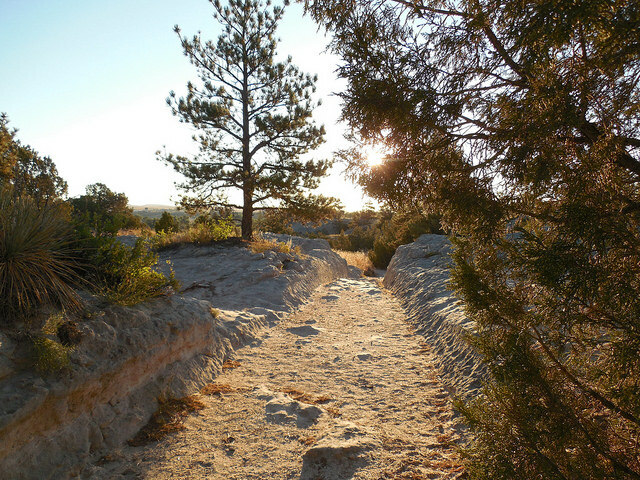 The half mile stretch is the best preserved ruts of anywhere on the trail. 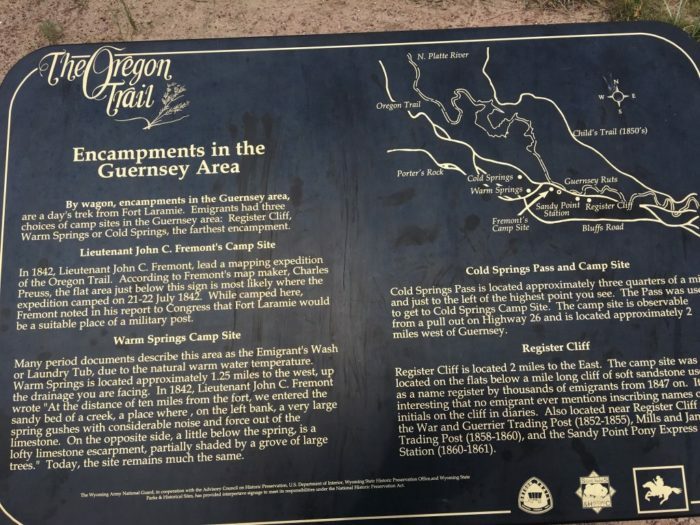 Emigrants had 3 options of camp sites in the Guernsey area when traveling along the trail. 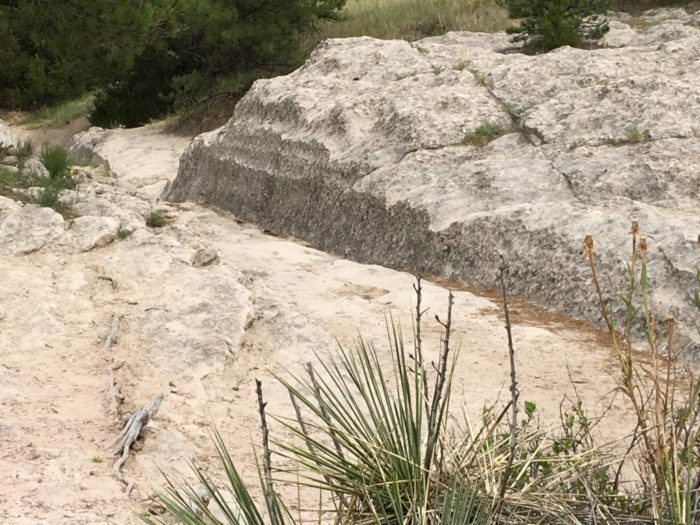 These included Register Cliff, Warm Springs or Cold Springs. This site was declared a National Historic Landmark in 1966. 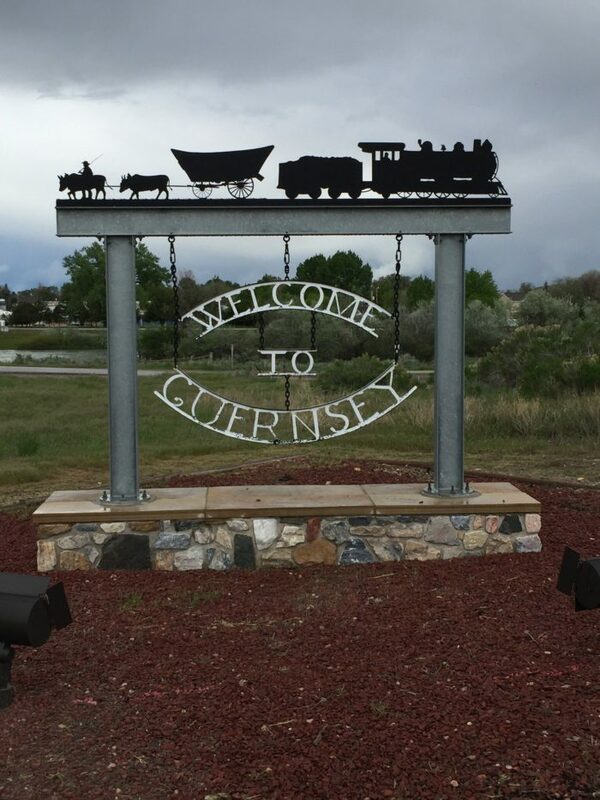 This State Historic Site is located within Guernsey State Park. It's a very moving experience to see physical evidence of the route taken by hundreds of thousands of emigrants heading West. There’s nothing like physically seeing and actually touching a site that has been walked on and touched by ancestors from 200 years ago. These individuals played such an important role in shaping the history of our country. 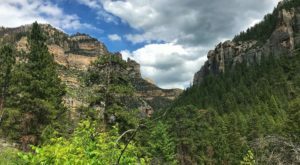 For other historical landmarks that will leave a profound impact, check out 10 Historical Landmarks You Absolutely Must Visit In Wyoming. 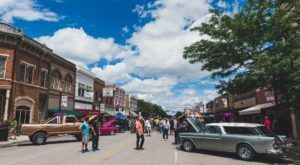 I am a freelance writer who also has been a small business owner and worked in the fields of insurance, accounting, and education. I enjoy spending time with family, reading, writing, photography, music, running, sports, and of course traveling!